Completely new to this area - and have stumbled at first obstacle!! Have I missed something in installing FSX_KML? The installation went very smoothly. I can access KML files, edit and save them O.K. as far as I know, but can't proceed with any Build as the Folder pointer for FSX is wrong. Many thanks for any suggestions - or even a pointer to other posts which I've missed. Apologies for not searching enough! I have the same problem....but I don't find fsX_Kml.ini to change configuration... Does someone give me an help to solve the problem? I use the search,but I dont't find it! I also don't have any FSX_KML.ini file... and the file locations are hard-coded into the exe file. Bad problem! We cann't use this program.....I wanted create a slope runway and this progran could be the solution! there was a trick about this tool, you must edit the ini file if I remember well. I will check all this and back again. I was a long time since I installed the tool. but it was not difficult , just be aware that you have to find this. Don't remember exactly what thing had to edit. For sloped runways you can use Ade, work great. I used Fsxkml for particular área far from aiports. though you could use him the same as Ade. Hi Bernardo...My problem is other....In that folder there isn't nothing, It is empty! Another question, Where do I find something to make runways slope with Ade? You just have to edit the vértices, add so many as needed, and edit ech individually assigning the height, you have to see the flatten as a polygon with many segments, the mesh should help, with the bare terrain take notes about the heights in a regular spaced distances. I noticed that the data is no very accurate and moreover when you have the intention to use a modeled Surface to match with the flatten. so is a Little of trial and error. but work. 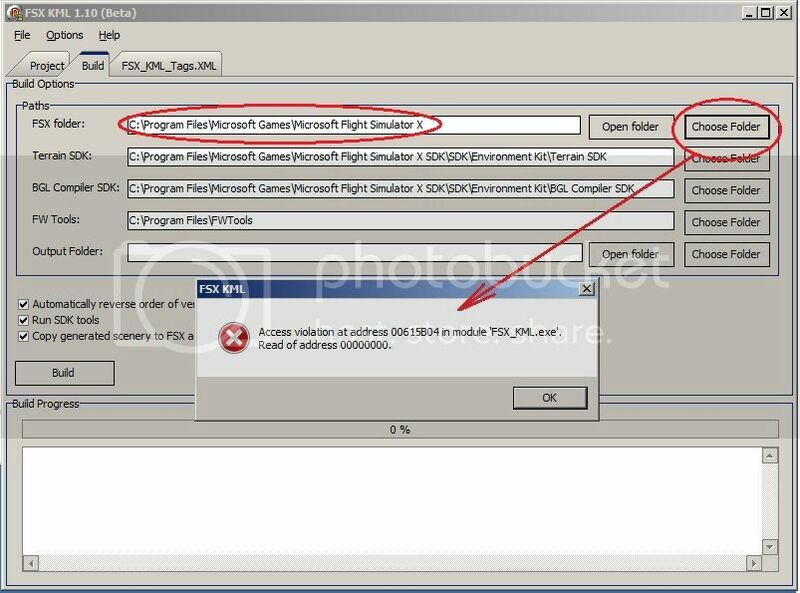 - copy over the Microsoft Games folder which is under C:\Program Files (x86)\Microsoft Games, this will copy the C:\Program Files (x86)\Microsoft Games\Microsoft Flight Simulator X SDK\SDK, and paste into your C:\Program Files folder. - Install FWTools into the C:\Program Files folder. - don't worry about the location of FSX, it is not important that I can see. - when you compile a kml it will put the compiled files into the folder where you installed the MKL Converter. Just go there and retrieve the compiled file and put into the FSX folder you want it to be. ALSO, I found that the elevation of the vertices was in feet so you need to convert those from say feet which you may have obtained from your sim to meters.